Whilst we tipped Little Simz to have a good 2014, which she did, it seems everyone else thinks she'll do even better in 2015. One of those being the BBC. 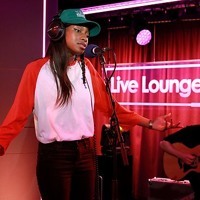 The British Broadcasting Corporation got Little Simz in for a Live Lounge session. Daughter's "Youth" was covered by Simz, who then followed it up for "Time Capsule", her first single. You can view the video of "Youth" after the break, whilst also stream the audio for "Time Capsule" too. Pre-order "Time Capsule" now on iTunes.